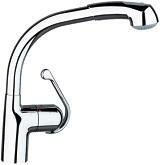 As the originator of the kitchen pull-out with main and prep sink faucets for your professional-grade kitchen. 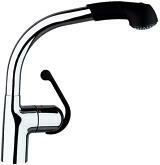 Ladylux Pro features an enhanced, streamlined profile and a comfortable locking dual-spray pulldown spray head. 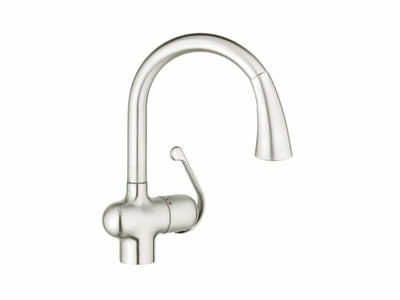 And of course, Ladylux Pro includes the smooth, precise action of Grohe SilkMove® technology. 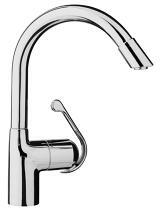 In addition, the forward rotation lever handle eliminates backsplash installation limits. 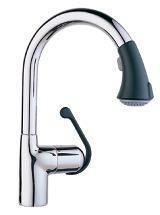 Ladylux Pro is available in the professional’s choice Grohe RealSteel®. 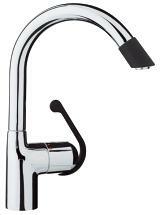 Ladylux Plus follows in the extraordinary tradition of the original Ladylux, the first pull-out kitchen faucet in the U.S. The Ladylux Plus offers a locking dual spray control which allows switching back and forth between regular flow and spray. It also offers significant performance features such as GROHE's patented SpeedClean® anti-lime system which maintains like-new spray function with a simple wipe. 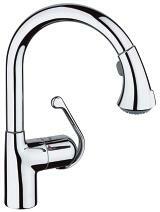 In addition, the forward rotation lever handle eliminates backsplash installation limits. 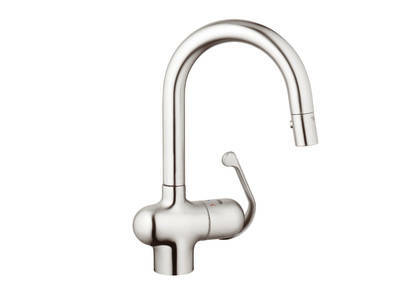 Ladylux Plus is available in the professional’s choice, Grohe RealSteel®. The heritage design Ladylux Café faucet offers a uniquely styled dual-spray "trigger-type" pull-down spray control. The smartly designed lever allows fingertip control of water temperature and flow thanks to Grohe SilkMove® technology. It also offers significant performance features such as GROHE's patented SpeedClean® anti-lime system which maintains like-new spray function with a simple wipe. In addition, the forward rotation lever handle eliminates backsplash installation limits. 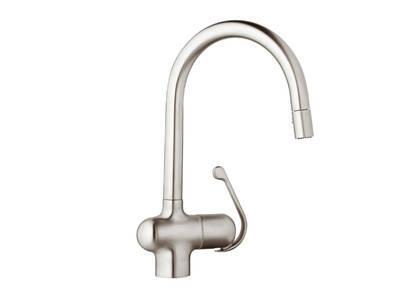 Ladylux Café is available in the professional’s choice, Grohe RealSteel®. 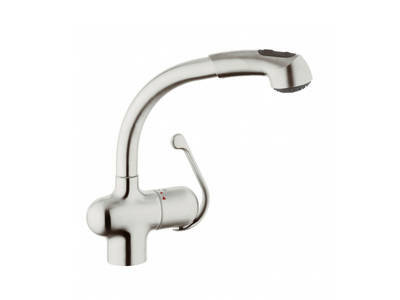 Made of solid stainless steel – a robust material with antibacterial properties.